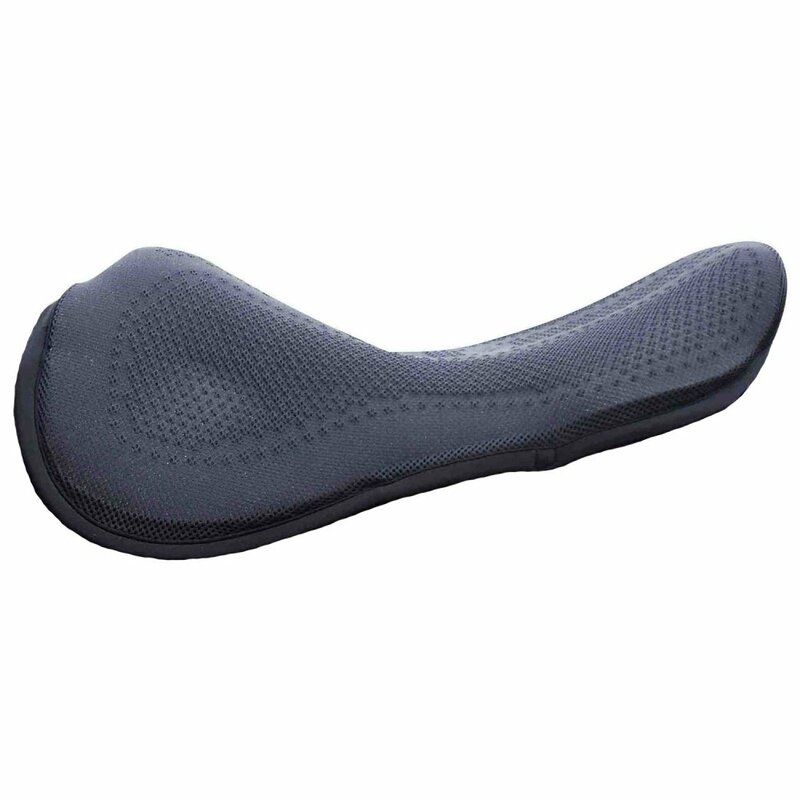 The Acavallo Gel In Seat Saver improves comfort and security in the saddle. This revolutionary concept in seat saver design contains Acavallo's shock absorbing, anti-lip, theraputic gel that stabilises the seat bones and supports the riders upper body, thereby reducing concussion to the lower back. In the Gel-In Seat Saver the gel is covered with a breathable mesh material that offers traction and a soft feel. The Acavallo Gel In Seat Saver is discrete and easy to fit to any saddle and will help the rider feel comfortable whilst jumping & hacking, and improve the feel of any saddle. This seat saver is compliant with BD rules.